Being a realtor, I know what can help or hurt a listing. When it came time for me to sell my own home, I was determined to make it look perfect and to sell it quickly. If I can’t sell my own home quick, why should clients trust me to sell theirs? 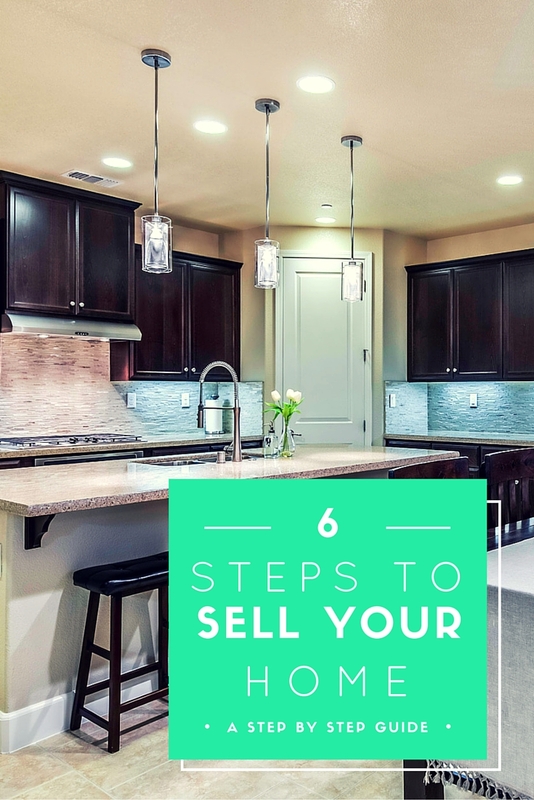 Regardless of being a Realtor, when it comes to your own home you can’t help but think like a Seller. Of course I wanted to sell my home for $100k higher than the value. If I don’t have to invest more into the home, I don’t want to. I don’t want a “For Sale” sign out front or strangers in my home while I am gone… I had to constantly take a step back and make sure I was doing what I would tell my clients to do. Go to model homes to get inspiration. Take pictures so you can imitate the looks at home. A well staged model home is not overly decorated. It is decorated to enhance the beauty and architectural features of the home while masking the non-desirable items. You rarely notice the lack of storage in a model because it is staged to appear abundant. This is VERY important, even for homes without clutter. Rent a storage unit, DO NOT put everything in your garage or closets. You will need to de-clutter those areas as well. Go room by room, and take most of your personal decor away. You want the buyer to be able to see themselves living in the home with their things. Rooms are better off empty than cluttered. 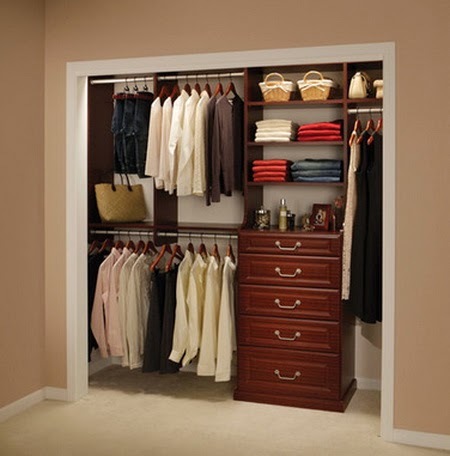 Stage your closets. Keep only the clothes in season and store the rest. This is especially important if you are currently tight on storage. Say good bye to junk drawers. Buyers often open kitchen and bathroom drawers. Clean out your refrigerator, pantry and under the kitchen sink. People look in all of those places when they are considering purchasing your home. Store most the children's/pets toys. It will make it easier for showings if you do this up front! Paint all walls a neutral color. This may be hard work, but it is worth it. Some buyers cannot see past colored walls, and others over estimate the cost to repaint. If you have any outgoing pieces of art or furniture, put it in storage. The buyers want to envision themselves living in the home, not you. Deep clean your home. Here are some commonly missed areas that we often notice in homes. Take the initiative to fix small things that you know of. Most likely, the buyer will request them to be done anyways. 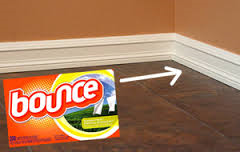 Touch up every nail hole, mark or scuff on the walls or baseboards. Keep the paint handy over the next couple days. After you think you have found them all, you will find a couple spots you missed. After I thought my home was ready to go, I had my mother (who is also a realtor) walk through the house as if she was the pickiest buyer. She was the one who pointed out that my slider needed to be re-screened and my TV needed to be cleaned. I was determined to get my home sold quickly! My husband thought I was joking, but I was serious. I made him dig a 12” hole near the For Sale sign for my Saint Joseph. I put him upside down with his hands facing the front of my house. Can’t hurt, right? 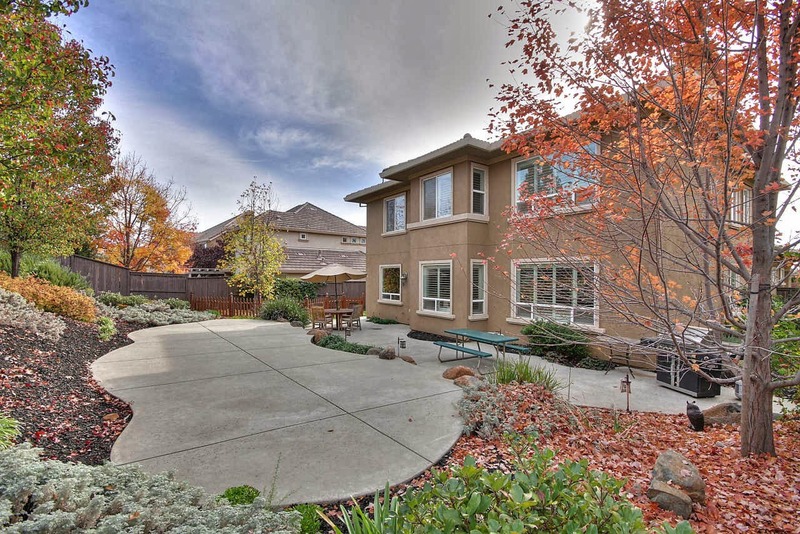 Showings and Open Houses – First impressions are crucial! Turned on soft instrumental jazz music throughout the house and yard. Turned every light in the house on, including table and bedside lamps. Wiped down the kitchen counters. Made sure my air freshener was on. A quick run through - I would go through the house with a laundry basket and toss any misplaced clothes or toys in it, and store it in my car. My home backed to a busy street, so minimizing road noise was important. I cancelled our first open house because of the rain. I knew the rain would make the cars sound much louder than normal. I didn’t want a bad first impression. I chose to invest in a few items to get my home ready to sell. I believe my small investment had a great return. Below are the items I thought would help the sale of my home. Decor - I purchased a large mirror and piece of art at World Market to replace my family portraits. Plants - We added a few large pots and flowers near the front door. I also found a great wreath at Home Goods. Bark - We purchased bark for our yard and spent a Saturday with the kids, spreading it around. It made the yard look great! Scent Air - I saw this in a model home and have been obsessed with it since! It is the best air freshener and you can control how strong the scent is. 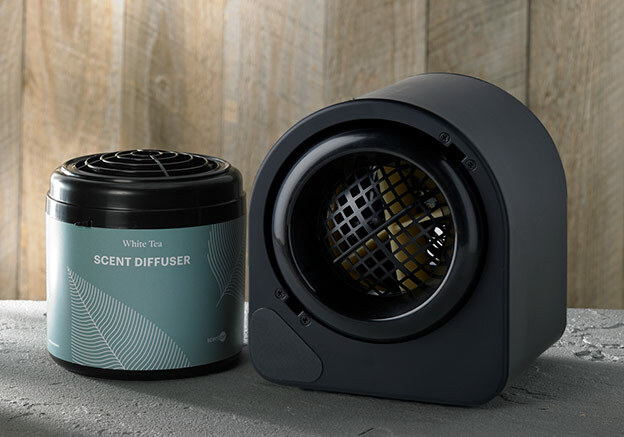 I loved it so much, I have purchased two diffusers and have subscribed to a monthly refill shipment. Color Seal Grout - I think I paid about $1,600 for my downstairs living area (roughly 1500 SF) to have the grout redone. This made a huge difference. My grout had become discolored from kids and dogs, it even started deteriorating because I had it cleaned so often. We were contemplating installing hardwood floors because the grout drove me crazy. We saved a significant amount of money by having this done, and it looked amazing! I wish we had done it when we first moved in. Carpet replacement/ cleaning - I invested about $1,000 total in carpet replacement and cleaning. I had a carpet cleaning company come with a black light to find hidden spots from my naughty dogs. It is very important to hire a good carpet cleaning company to treat and extract the pet stains, instead of shampooing them into the carpet. (I highly recommend Upright Carpet Cleaning and Restoration 916-291-3661.) I had our carpet and pad replaced in the downstairs work out room. Eliminating Buyer Turnoffs - As the real estate market continues to recover, buyers are out in full force. Many of today’s buyers make judgments about a home within seconds of viewing the listing online. Since the housing crisis, they are more cautious and want to make sure they are buying the best house for the best price. Here are 8 tips to increase your homes value by eliminating buyer turnoffs. Nothing turns off a buyer quicker than a dirty house. When selling a home, it needs to be in the absolute best condition it has ever been in. Go the extra mile, steam-clean tile and grout. If the carpets are old and smell bad, replace them. If they are newer, have them cleaned. Pet odor is the number one most offensive smell to buyers. Put pet beds, litter boxes and toys away. Cooking smells can also turn a buyer off. Strong spices, bacon and onions tend to linger long after the meal. To diffuse them, leave a window slightly cracked while cooking. After you are done with the meal, boil cinnamon in water to freshen up the house. Plug-ins and sprays can make the problem worse for people who are sensitive to smells. Cigarette smoke throughout a home can be a deal breaker. If you are a smoker, have the entire house painted. Paint will be more cost effective than accepting the low offer you may receive if you don’t. When buyers tour a home, they are trying to envision how the home will fit their lifestyle. If your house is cluttered with too many personal items, the buyer will have a hard time picturing themselves in your home. Decorating to live and decorating to sell are different. Anything that screams ‘you’ is what you don’t want. When there are family photos on display, buyers get very distracted. ‘Oh, do I know them? What do their children look like?’ Removing personal items will keep the buyers focused on the home. When buyers see a room with no purpose they think of it as wasted space. When visiting model homes, notice that the extra spaces are staged as a reading area or gift wrap station? Creating a use of the space will help justify the price a buyer will pay for the square footage. What may be lack of organization can come off as lack of storage. Most people looking for a new home have outgrown their previous one. An organized home shows that you’ve still got room to grow and gives them a reason to buy. If your home appears dark, add higher wattage light bulbs to existing lighting and install more canned lighting. 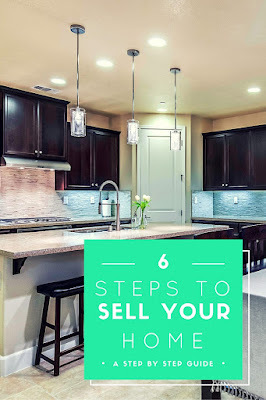 When it comes to selling, the kitchen is the most important room in the house. Having mismatched appliances is a turnoff to buyers. Contact the manufacturer of the appliance that can provide you with a listing of face panels that will fit. Also, many white or black appliances come two sided that can easily be switched around. Plant tall shrubs or trees if your house backs to neighboring homes. Gazebos and open umbrellas will also help create the feeling of privacy. Being a Realtor and a resident of Serrano, I see many homes with the same floor plan and the original basic builder options. To set your home apart from the others, don’t overlook the finishing touches that help add value and style. An updated kitchen is perhaps the most profitable investment you can make to a house. A few finishing touches can change the overall look of the room. Replacing a faucet is a relatively simple and inexpensive update that can instantly liven up the kitchen. 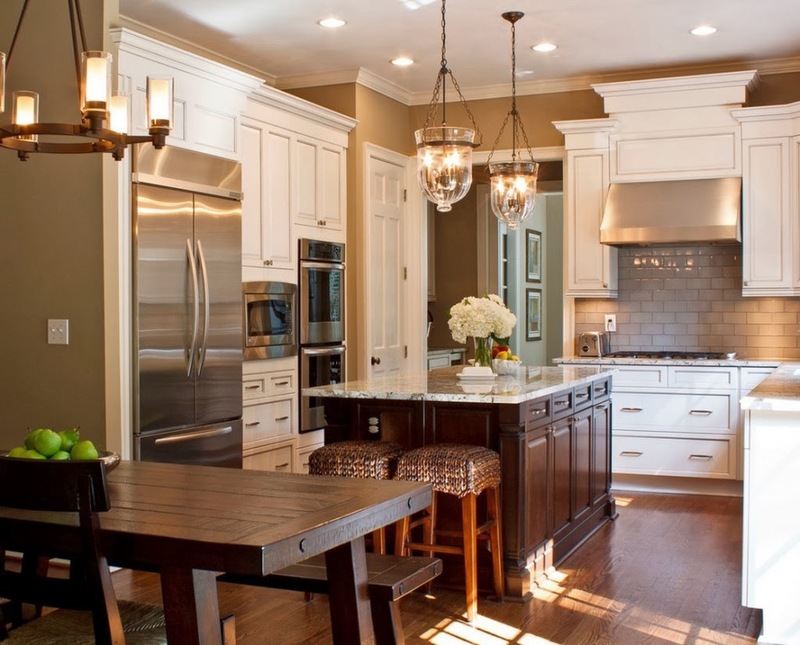 Adding decorative pendant lighting over an island area, replacing outdated knobs and a sleek new faucet can add a great deal of style to the kitchen. If replacing the dated cabinetry is not in your budget, consider refacing. Painting, staining or adding veneers will transform the once drab kitchen into a prime selling point to a potential buyer. Bathroom fixtures can be found in affordable sets that offer a hand towel holder, a towel bar and a toilet paper holder. Pairing the updated fixtures with a new bathroom faucet can change the whole feel of the room. Switching out the shower curtain for a bathtub enclosure will make the bathroom appear much larger (and prevents the common dry rot around the tub). Inexpensive bathroom mirrors can be hard to come by, especially for larger rooms. Framing in the builder grade mirror can be a good option. Many tutorials on how to do this yourself can be found on Pinterest or YouTube. Tip for kids bathrooms – switch out the towel bar for towel/bathrobe hooks to keep the bathroom looking tidy. The kids will be more likely to hang their towels and it will look better when they do! When it comes to updating a house, the dining room is often forgotten. Switching out the dated chandelier and setting the table can add a great deal of decorative appeal. Before purchasing any fixtures in the hardware store, search online. Amazon often has the same items for less. Lacking inspiration? Houzz.com is a wonderful website to get ideas from. 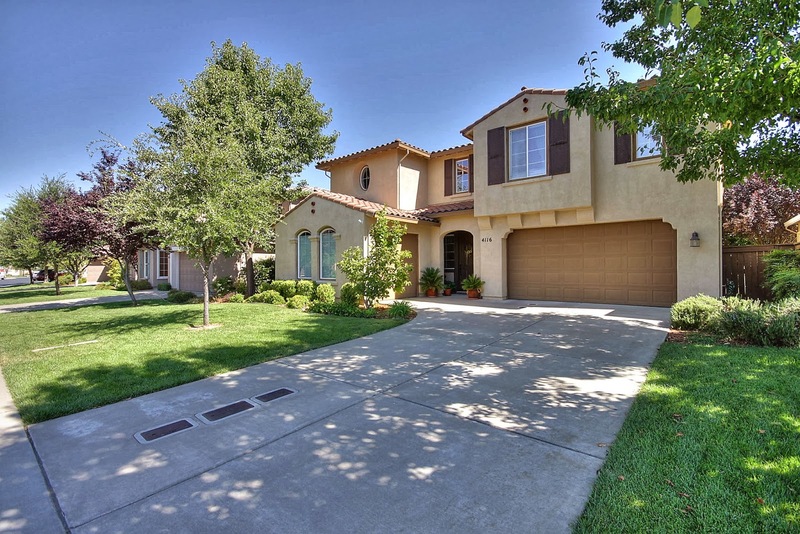 Being a Realtor, I am frequently asked what makes a home in Serrano worth more than the identical one down the street. Upgrades, views, location and amenities play a large part, but there are many affordable ways to help increase the value and set the home apart from the others. First impressions are crucial. The exterior of the home should be inviting. Fresh paint on the front door, a nice wreath, door mat, new bark and (Serrano approved) flowers add desired curb appeal. A good cleaning goes a long way. Sparkling appliances and tidy cabinets show signs of a well maintained home. Adding light air fresheners, cleaning grout, baseboards and light switches show pride of ownership. Invest in “Mr. Clean Magic Eraser Sponge’s”, they work wonders! For stainless steel stoves, try oven cleaner to get rid of those hard to remove stains. For grout, there are many options, but “Comet Gel with Bleach” works very well. Transforming the home from lived-in to move-in condition dramatically increases the value. Get an expert opinion before investing in a costly remodel intended to add value. Best return on investment upgrades: kitchen and bathroom counter tops, knobs on cabinetry, flooring and updated appliances. Exterior paint is also a good investment. It is important to keep the home protected from the environmental elements to prevent expensive repairs in the future. Items NOT to invest in for value purposes: Pools should be added for your enjoyment, not with intent to add value. Typically, the value added with the pool is less than the cost of the pool. Custom paint is one of the worst investments for value purposes. Not everyone has the same taste and extravagant, over the top walls can hurt the value of your home. When considering any home improvement projects, do not go overboard. Keep in mind that the value of your home is partially determined by the value of the neighboring homes. If you have any questions regarding value, give the Menser Real Estate Group a call! We are always happy to help, 916-289-9866.